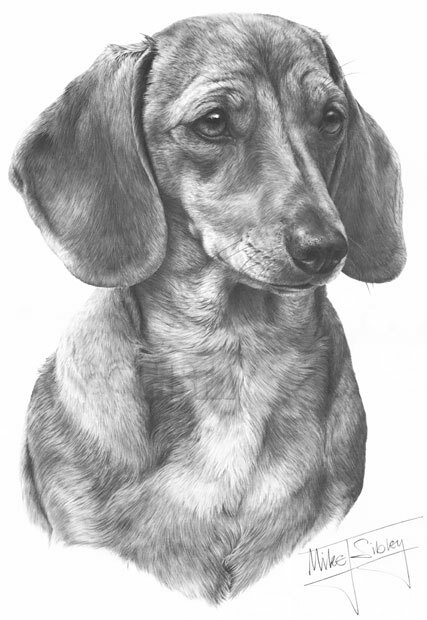 I drew this Smooth Dachshund around 1998 and I had excellent photographs to work from. It was a lovely sunny day and the group of Dachshunds I had available all performed flawlessly. I finally chose this one because of its lovely soft expression, and its coat was a delight to work on. The drawing took approximately 83 hours to complete.